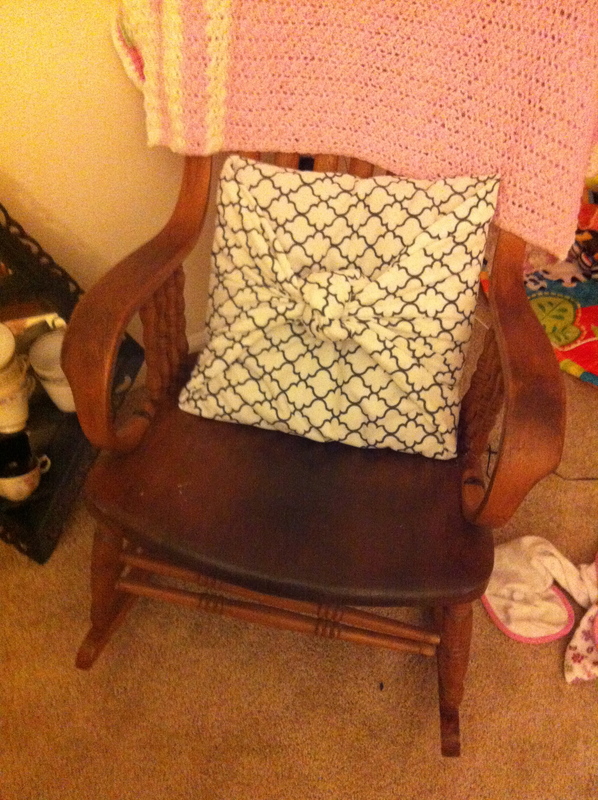 Sometimes it’s nice just to refresh or change up an old pillow with different fabric. I used some fabric I just had left over from another project, so the entire revamp was free. However, a yard of fabric is pretty inexpensive and Hobby Lobby always as a 40% coupon in their app–so the revamp is worth buying fabric for as well. 1. 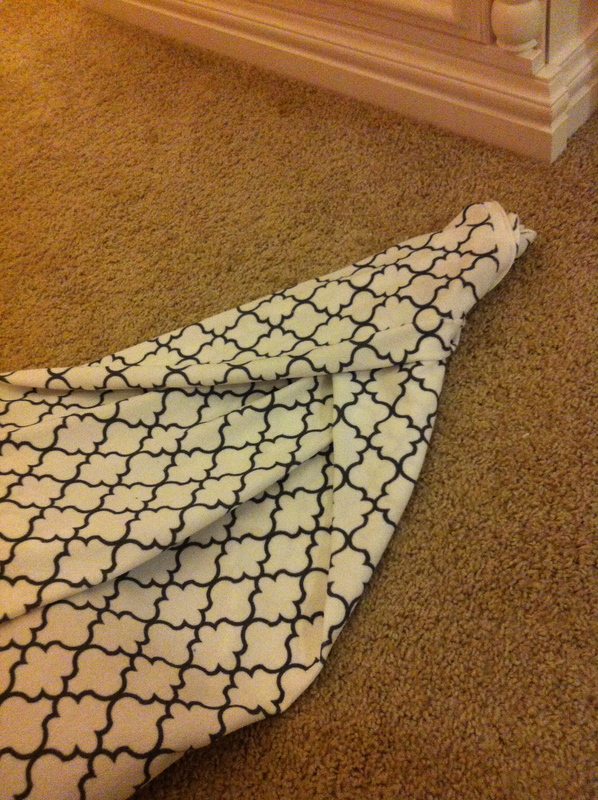 Lay the fabric out on the floor (make sure the fabric side you want showing is facing the floor) and set the pillow in the middle. 2. 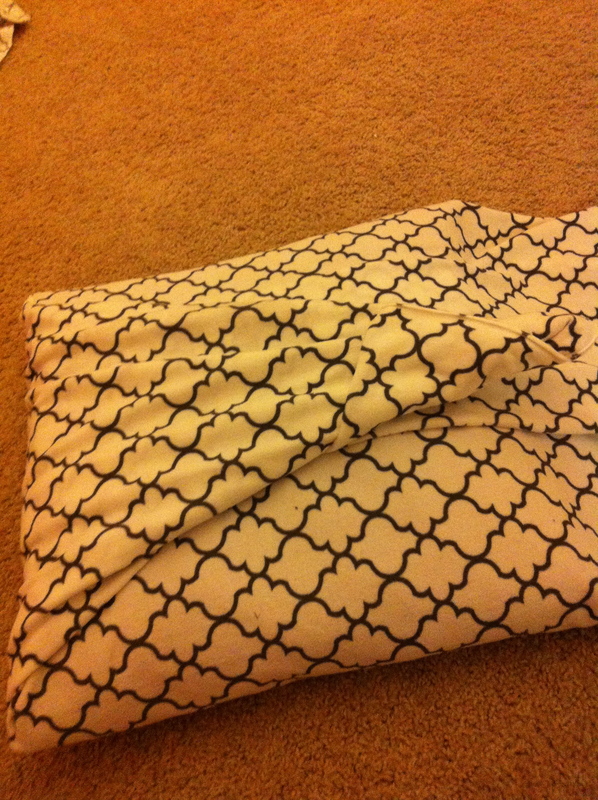 Fold fabric to the middle of the pillow on two opposites sides (Left and right OR top and bottom). This is the best way to judge where to cut the fabric to keep *those two sides only* short enough to hit in the middle of the pillow. You want the other two sides left longer to tie later on. 3. 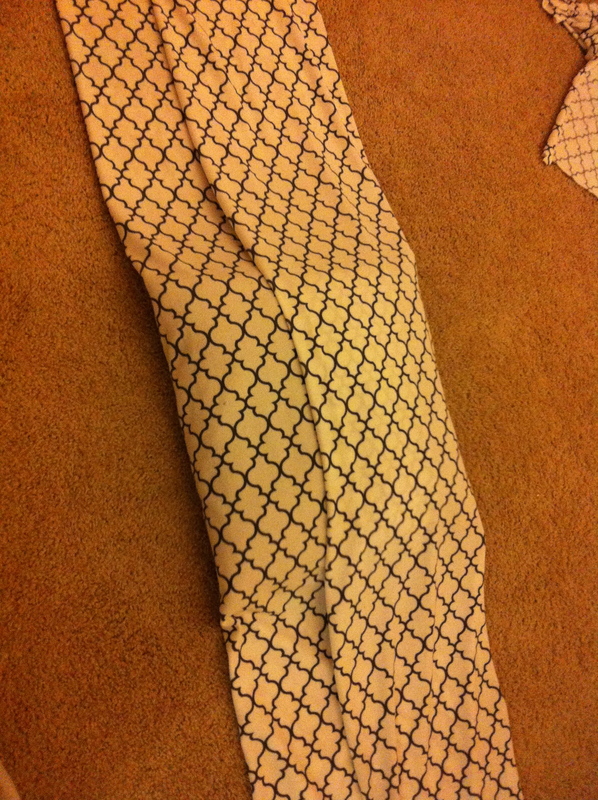 Take the remaining fabric on both sides and fold it into a triangle. You don’t want it too thick or it won’t tie correctly in the front, so make sure to keep it as long and thinly folded as possible. 4. After both sides are folded into a triangle, bring them to the middle and simply tie them into a tight knot. 5. After tying both sides together if there are any corners or fabric hanging out try to tie it toward the pillow or tuck it toward the pillow to keep it from being seen in the front, and you’re done!